Fertilizing your flower gardens is more than just throwing some fertilizer around. There is a safe and effective way that you can feed your garden. Some gardeners are very aware of what they need to do when they transplant new plants when it comes to fertilizing them. 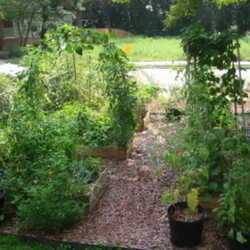 Some gardeners will stay on top of fertilizing their existing garden beds. However, there are times when you may be over or under fertilizing depending on your actions. Here are some tips to ensure that you’re fertilizing your gardens safely. Not only could improper fertilization in your gardens lead to problems with your flowers and plants, but it can also add to fertilizer run-off that can impact your local water supply. Just throwing fertilizer into your garden beds may not be the best and safest way to go about fertilizing your soil. 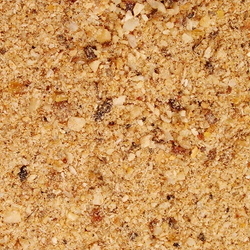 Testing your soil first is usually the best option available to you. You may find that you only need a particular fertilizer or even that your soil has enough nutrients for supporting your plants. There are soil testing kits available at your local garden center or DIY store that will guide you through the process of taking samples from your garden beds and using the tests to get the current values of your soil. It’s important to follow the instructions carefully to get the correct results. Some people aren’t comfortable with doing these tests or for one reason or another just don’t have an interest in performing them themselves. The good news is that you can send your soil samples off to be tested by a professional lab. Many universities, extensions, and professional gardening organizations offer this type of service in exchange for a nominal fee. They’ll give you the instructions on how to collect the samples and send them in for testing. There are plenty of all-purpose plant foods available that are great for gardeners to feed all of their plants. It’s not necessary for the most part to use specific fertilizers unless you prefer. Keeping this in mind, some plants, such as azaleas or blueberries may do better with a specialized fertilizer because they prefer more acidic soil and have different requirements than other plants. However, if your soil is at the proper pH, your plants may still thrive using an all-purpose fertilizer. One additional thing to keep in mind when picking out your fertilizer is using a more balanced fertilizer when it comes to the amount of nitrogen, phosphorus, and potassium it contains. Using a fertilizer that focuses more on a higher amount of nitrogen can result in fewer flowers for your flowering plants even though your leaves will look amazing. One thing that can be helpful to keep in mind is the current portion of the lifecycle. During the lifecycle when your plant is flowering or growing rapidly, your plant needs extra energy to support it during this time. It’s very beneficial to apply fertilizer before this starts happening. Before planting in the spring or the fall, you’ll be able to add a granular fertilizer to the soil. However, if your plants are already established, liquid fertilizer should be used. Many of your established perennials may not need a large amount of fertilizer if any depending on your soil. Often, the only time that many perennials need to be fertilized is in the spring right before or during new growth. Some perennials fall outside of this general rule of thumb. Both daylily and tall phlox do well with spring fertilization, but they can also use fertilization again after they’ve bloomed. You can accomplish this extra fertilization by either using a slow release product so that the later fertilization needs are handled in one feeding. The sidedress method can also be used. This method is where you’ll add the fertilizer according to the directions on the fertilizer. You’ll want to apply the recommended amount around the root zone of the plant. You don’t want to let the fertilizer touch the plant itself, as this can result in the plant being burnt. With perennials, you’ll also want to avoid fertilizing later in the season. Fertilizer added in the late summer or early fall can cause the plant to grow more tender shoots that will be more susceptible to damage during cold weather. Compost is a great way to bulk up your soil with nutrients without having to fertilize your soil as often. Add about an inch of compost to your garden every year around your garden beds. Over the year, this compost will continue to decay down into the soil and make it richer in nutrients without having to add commercial fertilizer. 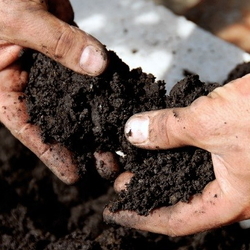 Be sure to test your soil before adding any additional fertilizer if you use compost. These tips of how to handle fertilizing your flowers and plants can help you to get the most out of feeding your plants without seeing the problems that come from improper fertilization. It’s important to remember that testing your soil for what’s needed and keeping your particular plant’s needs in mind will go a long way to helping you build your fertilization schedule.